Here is the explanation of the Voting process for the NBSC WORLD FEMALE HANDBALL PLAYER 2018. Handball-Planet.com made the Jury consisted of the handball specialists from 12 countries, while the last member were the visitors of our website (78.038 votes). Journalists voted for their favorites by giving them 3, 2 and 1 vote/point (MVP received 5 points), while the fans’ opinion was calculated different with 7, 5, 3 and 1 vote/point per position. 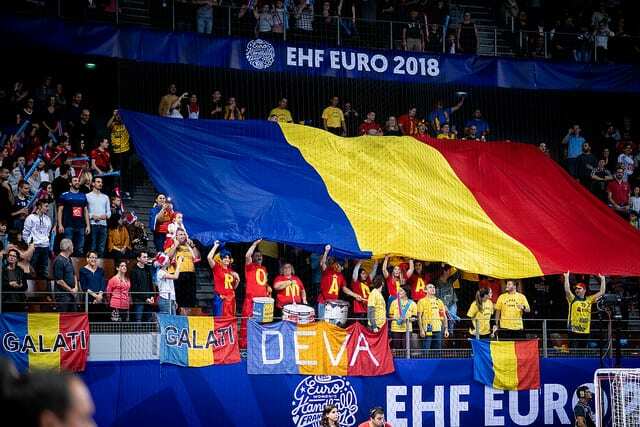 THREE players with the biggest support of the fans have got 15, 12 and 10 – They are Romanian stars, left back Cristina Neagu (10,984 Votes) and Crina Elena Pintea (5,684 Votes), while third was Brazilian left back Eduarda Amorim (4,772 Votes). NBSC WORLD FEMALE HANDBALL LEFT WING 2018? NBSC WORLD FEMALE HANDBALL LEFT BACK 2018? NBSC WORLD FEMALE HANDBALL PLAYMAKER 2018? NBSC WORLD FEMALE HANDBALL RIGHT BACK 2018? NBSC WORLD FEMALE HANDBALL RIGHT WING 2018? NBSC WORLD FEMALE HANDBALL LINE-PLAYER 2018? NBSC WORLD FEMALE HANDBALL GOALKEEPER 2018? NBSC WORLD FEMALE DEFENSIVE PLAYER 2018?